My grandmother McDowell has always been known for her Ice Cream socials. 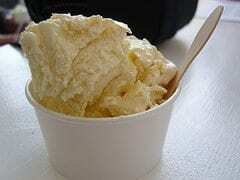 Here is the ice cream that we have made at it for years. It's easy to make homemade ice cream. Mix well. Prepare according to your ice cream freezer's directions. We will be trying this at our next family reunion! DOes this recipe require cooking? No, this recipe does not require cooking.